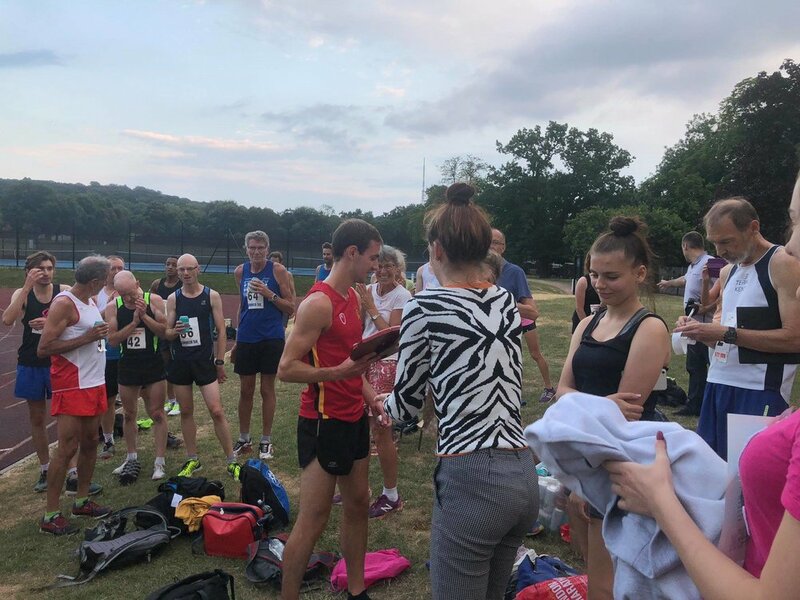 After 9 races from 1760 yards to 26.2 miles, the 2018 edition of Dulwich Runners’ Club Championships is complete! 46 women and 76 men completed at least one event in the championships. The February 2018 Dulwich Parkrun was the most popular, followed by the Assembly League 5k at Battersea. Almost as popular, was the Marathon, with 26 women and 28 men running at least one (some members even did more including two in a week! ), which is always special given the original development of the club for a group of friends to train together to run the London Marathon in 1980. To complete and qualify for the championships, runners had to finish at least 5 events including at least one race from each of the short and long categories. 12 women and 29 men qualified having achieved this feat. Men and women competed within age-group categories (<40, 40-50, 50-60 and 60+) alongside an overall age graded championship. In order to be as fair as possible and enable runners of different ages and sexes to compete, this was worked out using the 2015 WMA age grading tables which awards points according to how well you ran against the world best for your age and gender. The full breakdown by event and what that meant for the overall results is provided in the attached excel file. Awarded annually for outstanding performance on the road, in memory of Gill Johnson, who was an excellent road runner herself and sadly died in 2017. The winners for the first year (2018) are Ed Chuck and Clare Elms. Trophies will be awarded at the Christmas party! attendance to take part too. The old 300m college track is a bit worse for wear these days but despite this some excellent PB level runs were achieved, with a great opportunity to improve on a 400m track. Following on from the serious races a light hearted "beer mile" race was run to celebrate Mike Mann's impending 70th birthday and a collection of fine ales that Thomas South had managed to source. Photos courtesy of Jim Dowsett and Rob Hollands. The first race saw Alex and Colin locked together until the last lap when Colin couldn’t hold on any longer as Alex pulled away to win. Barrie didn’t run to last year’s form but Andy, Jo and Lindsey were near enough. the club championship Soar Mile for official PBs. heading for an easy win. Justin can’t have trusted his fitness early on because once he stirred himself for a last lap effort he ended up catching Lucy and the onlookers enjoyed an elbow-to-elbow battle up the finishing straight, just edged by Justin while Lucy was easily overall fastest woman of the day. Christina was another excellent improver and should look forward to even better on a standard track while Kim did really well to break six on her current fitness. 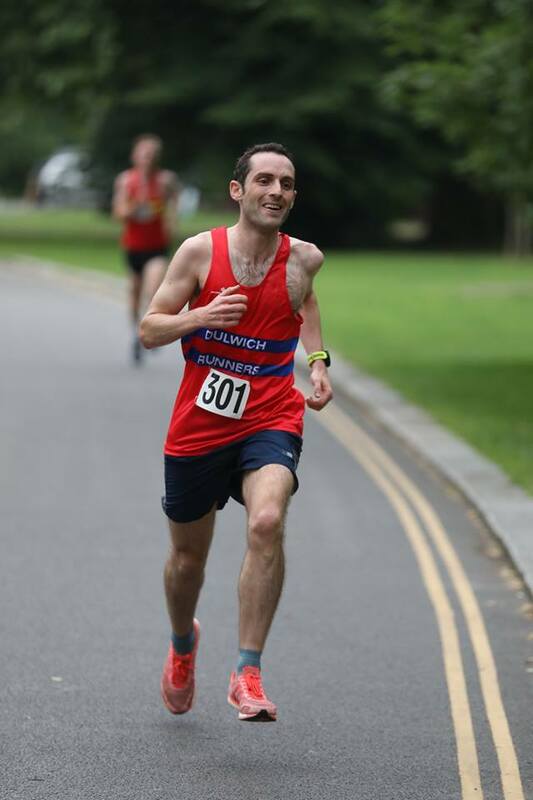 Coach Steve lamented that his time was slower than the average pace for his best marathons - apparently the speed shown at the 1972 Lewisham Schools 800m Championship was not in evidence. The fastest race effectively became two races with the leading four detaching themselves from us mortals by the time the first straight was run. Lewis front-ran to a straightforward win but Wayne was up for the challenge and was the only one to accompany Lewis through halfway. Unfortunately for Wayne though, the wheels came off heading into the finale and the more conservative-starting Tim and Andy both caught him with negative splitting runs, Tim’s second half notably equal to short-distance specialist Lewis. Meanwhile division 2 were sorting themselves out a bit further back with a bit of jostling for a lap or two before Ian led through halfway closely tracked by Jack and yours truly. 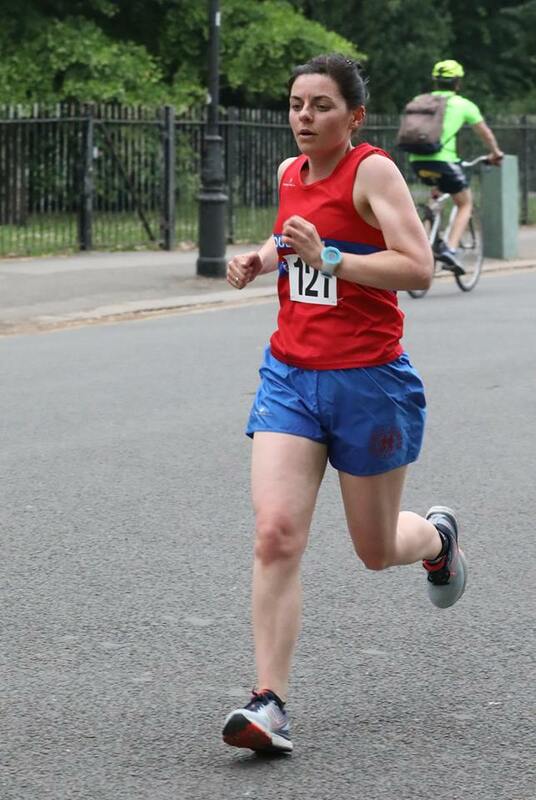 Just for once I was enjoying the race and not hanging on for dear life (my recent default setting) and actually plotting where to put in my devastating finish (I know, poetic licence, whatever). Up the finish straight towards the bell the screaming hordes of adoring fans (!) got the better of me and I belted past Ian with Jack in close company. We couldn’t be separated right until the finishing straight when my legs threw in the towel and completely shut down, conceding three seconds in just 75 metres. Following on, Rob, Joe and Tom all put in good quality well-paced runs at an unfamiliar distance, while Jo Brady was too late for an earlier race but just about made the startline for this one and still put in plenty of effort. Surrey Cross Country Race 4 - The Ladies Team overturn a 99pt deficit! 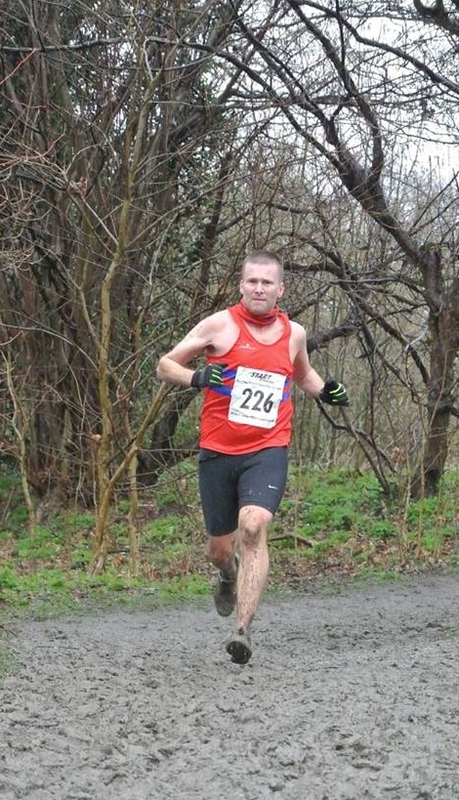 Surrey Cross Country Race 4 - We are staying up!